As you may have noticed, we have decided to give a brand new look to your Dashboard area! 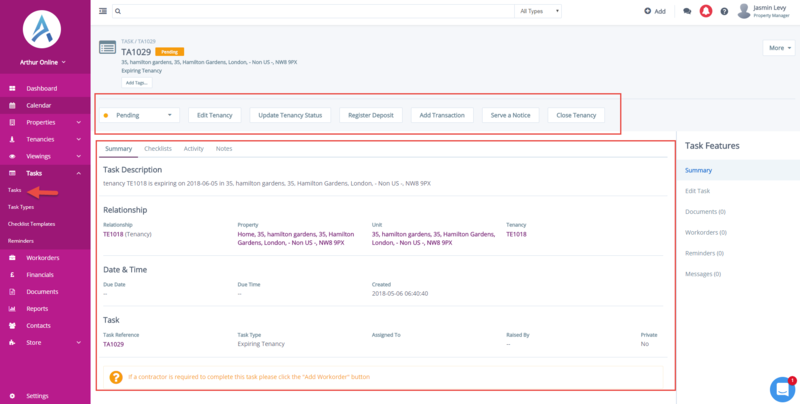 The new dashboard has been updated to make pending issues, workorders and expiring documents more visible and it now also includes a report on incorrect tenancy statuses. The new design also allows for a notification feed column on the right hand side of the screen. This will help you keep on top of new messages, raised issues and tasks, expiring tenancies and documents, and general updates on activity from other users on your account. If you would like to change the layout back to the original design, click on “Go To Legacy Dashboard” on the top right of your account. The “Go To Legacy Dashboard” button will be removed on the 1st of July. We have updated the messaging feature in Arthur to allow for easier selection of recipients when you post Group Messages. The new “Select Recipients” column on the left will allow you to easily choose a user group from the drop-down, tick the boxes below to select email or text messages. 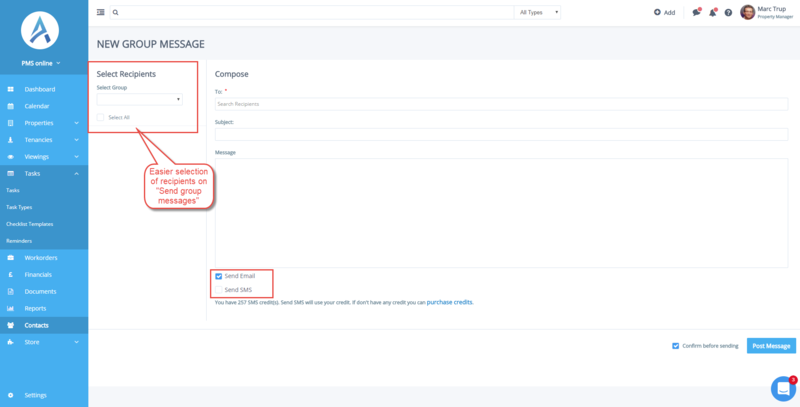 You will notice a similar new layout as you post messages at Property/Unit/Tenancy level. Last week we have upgraded the Task screen by adding new options at the top to help you deal with different types of tasks instantly. 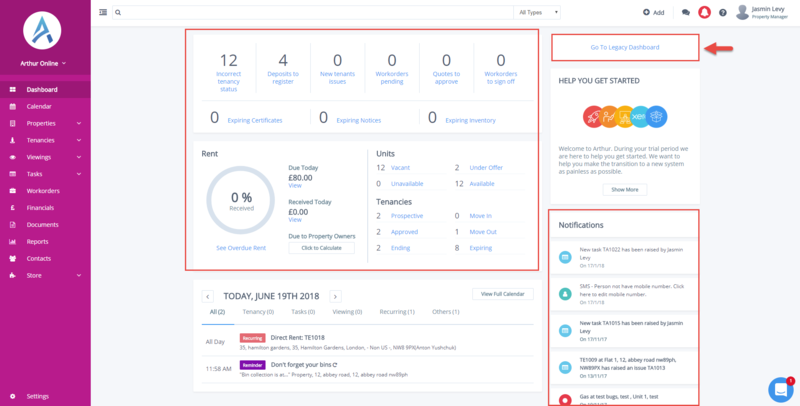 The new widgets add more functions within the task, enabling users to quickly deal with some of the most common daily duties such as tenancies that are expiring or deposits that remain un-registered. Wee will keep you updated with future releases in the next few weeks.